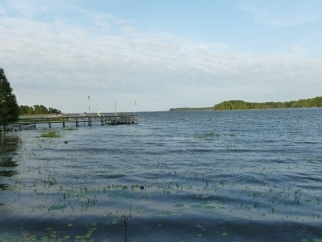 Rare opportunity to purchase lot in Pineopolis, with 130 ft of waterfront access to Lake Moultrie. Front section is .85 acre deeded property. Back section is .86 with marginal lease from Santee Cooper PSA. Seller is working to acquire dock permit. First time on the market since 1955. Pictures are taken from neighboring dock to show waterfront footage.